What can you do if IVF is unsuccessful? Anyone going through IVF will have experienced the roller coaster of emotions hoping for the best and trying to prepare for the worst. So what will you do if IVF does not work for you? 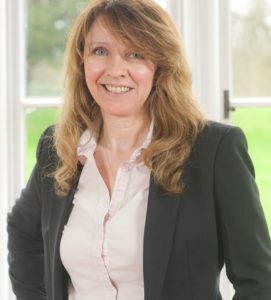 Jackie Stewart is one of the independent counsellors at Bourn Hall Clinic. She says that patients need to allow themselves time to grieve over the fact that they will not be able to have a biological child. She adds: “For some people, this is a massive emotional hurdle, whereas others come to terms with it more quickly. “Some people decide that they want to cherish what they have and move on with their lives, they may find counselling helpful to reach this decision and to feel a sense of closure. Counsellors normally recommend at least a six-month gap between finishing unsuccessful IVF treatment and deciding on whether adoption is right for the individual or couple involved. In addition, most adoption agencies also want to see there has been a “coming to terms” period between treatment ending and the adoption process starting. Counselling is useful to reach this stage and also to talk through the situation whereby they might adopt an older child. Many people find it difficult to accept they may not adopt a baby and can mourn the “lost years”. Bourn Hall supports its patients at every stage of their journey and provides free counselling for as long as the patient feels it is needed. This can include support for those considering adoption. Jackie says: “Counselling isn’t for everyone. It might be that you decided you didn’t need it at the time but might appreciate it later it can take time to work through emotions. Our door remains open and I would encourage anyone that is struggling to come to terms with IVF failure to get in touch”. See more about the patient support offered by Bourn Hall here.